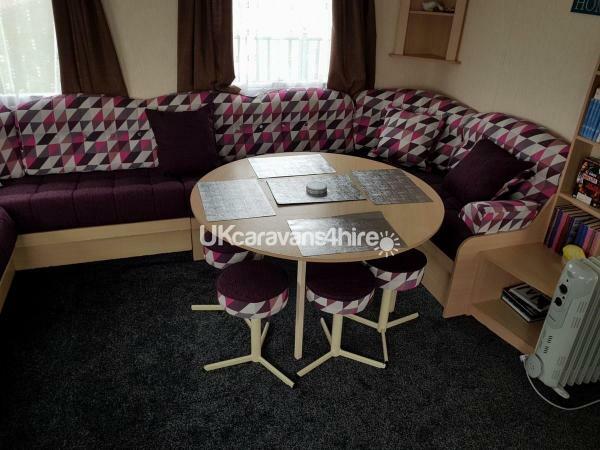 My caravan is a 4 bed 10 berth, it has 1 double bedroom and 3x Twin single rooms and in the lounge you can convert the seating area into a double bed. The toilet and shower are separate which comes in handy when you have children. ALSO AVAILABLE. I HAVE A TRAVEL COT AND HIGHCHAIR AVAILABLE! PLEASE REQUEST IF NEEDED WHEN BOOKING THANK YOU. The kitchen is equipped with cooking essentials such as a toaster, kettle,fridge. casserole dishes, roasting tin, baking sheet, etc - everything you will need. Also we have freeview tv with Dvd player. Duvets and pillows are provided you will need to bring your own sheets and duvet covers,and towels as they are not provided. 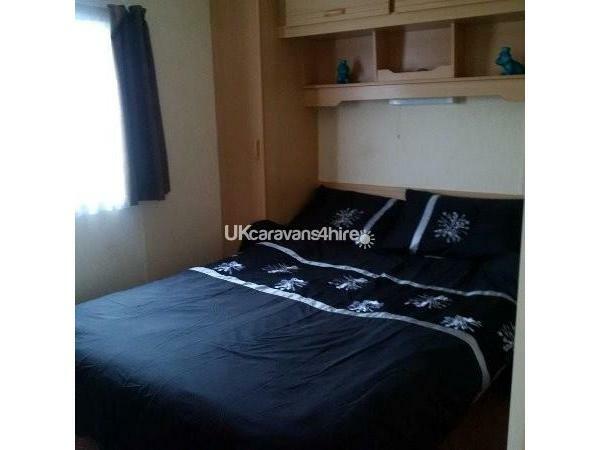 Bed linen Can Be Hired for £30. 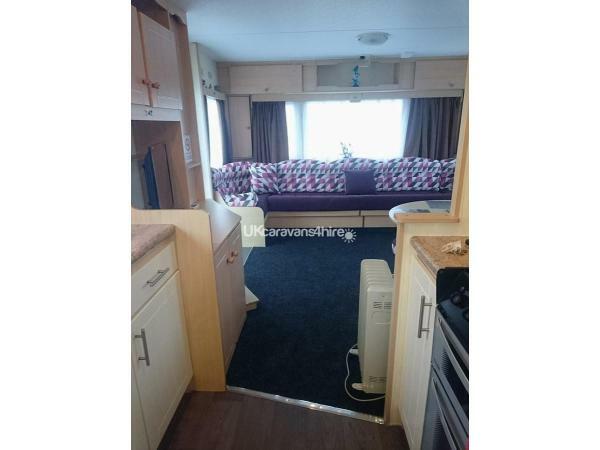 The Chase Caravan Park is a 15 minute walk from the big market and Fantasy Island. 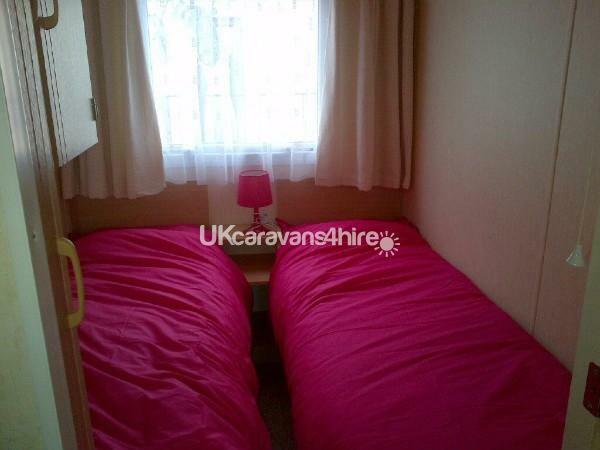 Its a 5 minute walk from the beach, arcades, pubs, takeaways, Butlins is a 5 min drive away, and loads more. The shop is located on site and is open every day until 10 pm they sell hot sausage rolls,frozen food,drinks,snacks and loads more. 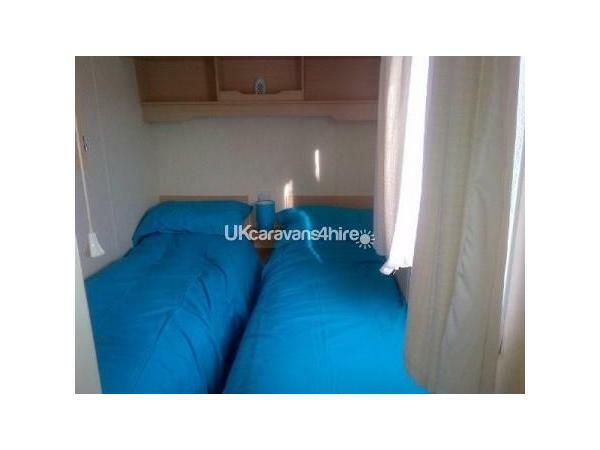 I also have a website www.kmcaravanhire.co.uk my website will show you my prices and availability and details of my other 10 Berth vans on The Chase Caravan Park and Butlins. If you require more information please contact us for more details thank you! £75 secures your holiday and the remaining balance due 8 weeks before your holiday. 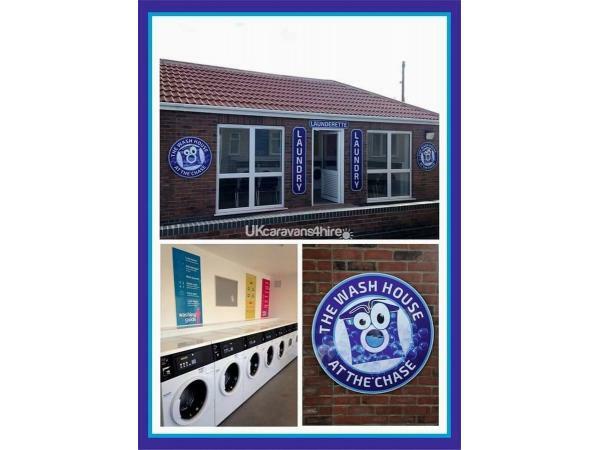 Additional Info: The Chase caravan park has a fantastic large Family Club on site with indoor soft play area and a large outdoor play area. Also offers fantastic food and shows yours favourite sports live. Nightly Entertainment and Bingo. Everything you will need is all along anchor lane. 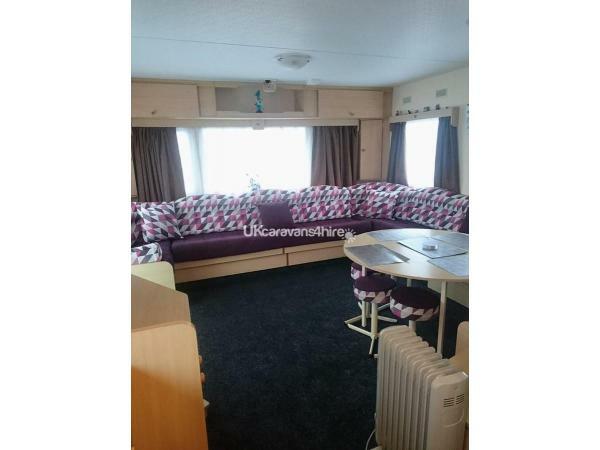 Beach, Clubs,Arcades,Shops,Takeaways,5 mins walk.Outside: There is a veranda which runs the full length of the caravan with steps up the front. The Chase has a Spa shop for your grocery requirements plus lottery, newspapers, alcohol and free ATM machine.Just a short walk away is Hardy’s animal farm and a fishing lake. Not too far away is the seafront near the Bell pub, Anchor Pub and numerous shops, arcades and takeaways. Fantasy Island is a 15 min walk away or a lovely stroll along the beach. Alternatively you can catch the number 3 bus just outside the site which goes to Ingoldmells Central or Skegness. Everything you need from the beach to Hardys animal farm clubs/pubs takeaways are all in 5 mins walk. 7 day market is 15 mins walk if you have young children. although your not far from everything the park is lovely and quiet.